The iPad Air is back, building on what we have loved about the Air series with a slew of improvements. However, there are still some compromises to keep the price in check. There are a lot of iPads on the market and they all serve different needs. The iPad mini is made for people who are looking for a tiny little tablet that they can hold in their hands for an extended period of time. Meanwhile, the iPad Pro is for professional users who want something more powerful. The 2019 iPad Air floats right in the middle of the iPad lineup, specifically made for people who want an Apple tablet that does a little bit more than the basics. The new iPad Air starts at $499 for the model with 64GB of internal storage, which is much cheaper than the 10.5 inch iPad Pro (2017). The iPad Air is not the least expensive iPad available on the market. That title goes to the 2018’s 9.7 inch iPad, which is still on sale for $329 in the US, and has a less powerful processor and lacks a True Tone display found in this year’s model. The reason why Apple is still selling the standard 9.7 inch iPad is that it wants to target students who want an iPad that can handle their basic needs. Meanwhile, the new iPad Air is for people who don’t want to spend too much money on the iPad Pro. As a long-time iPad user, the new iPad Air feels instantly familiar to me. However, the first thing I noticed about the new iPad Air is that it looks exactly like the 2017 10.5 inch iPad Pro. However, there are some key differences that set it apart from the Pro tablet. Indeed, the new iPad Air only has two speakers at the bottom, where the iPad Pro has four. I tried playing some YouTube videos on both iPads and noticed that sound only came out of one side of the Air. Another difference is the lack of a camera bump. This seems plausible seeing that the new Air uses the same camera setup that’s found in the iPad Air 2. Basically, the new iPad Air uses the same design we have seen on an iPad in recent years. Indeed, it has a physical home button for unlocking, large bezels around the screen, a lighting port for charging, and a keyboard connector. There are also microphones for FaceTime calls and a 3.5mm headphone jack, which is super convenient. The display is the biggest improvement over the Air 2. In reality, we have a nicer, laminated display with True Tone technology and a wider color gamut. True Tone is a display feature that allows your iPad’s display to adjust its color temperature based on the ambient lighting around you. Personally, I have a MacBook with TrueTone and I am happy to see it on the iPad now, which makes it a better choice over the basic iPad. One thing that’s missing here is Apple’s ProMotion technology which boasts a refresh rate of up to 120ghz, allowing for smoother scrolling. However, that’s not a big deal considering how affordable the Air is. Personally, I have been using the iPad Pro for a while and I find animations and scrolling a little bit laggy on the iPad Air. 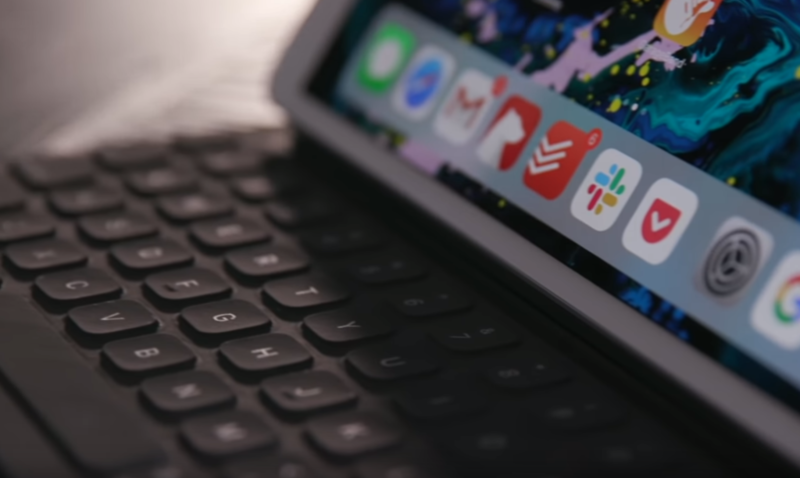 However, if you are new to the iPad lineup, then the screen on the new Air is still great for web browsing, watching YouTube videos, and even gaming. The coolest part is that your iPad Air now works with any Bluetooth-enabled keyboards too. This is a big deal for anyone who wants to do some writing with the new iPad Air. However, there is something nice about having a keyboard built directly into your cover, which is also ideal if you travel frequently. The keyboard on the new Air offers comfortable typing experience, which is useful for extended typing sessions. Personally, I am quite glad that I can buy a $500 iPad that really works with Apple’s keyboard case without slashing a fortune for the Pro. 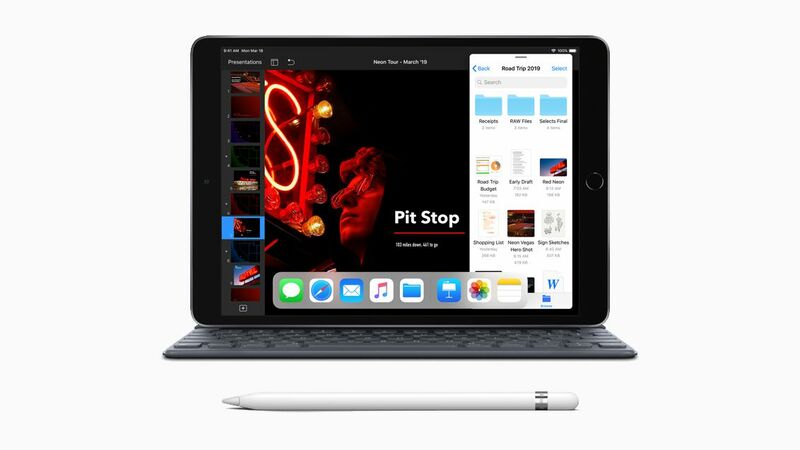 As for the Apple Pencil, the iPad Air now supports the Apple Pencil, an accessory that was originally reserved for the Pro. Unfortunately, the new Air uses the first-gen Apple Pencil, not the latest magnetic one that only works with the iPad Pro. This means that you need to plug it into the lightning port of the Air to charge it. Personally, I prefer the second-gen Apple Pencil, which is better in every way especially in the way it wirelessly recharges when attached to the side of the iPad Pro. However, the first-gen Pencil is not a bad thing as it still has pressure sensitivity and tilt functionality, which is ideal for taking notes. The 2019 iPad Air now features the A12 processor, the same chip that’s found inside the iPhone XS. This thing is a beast when it comes to the overall performance. 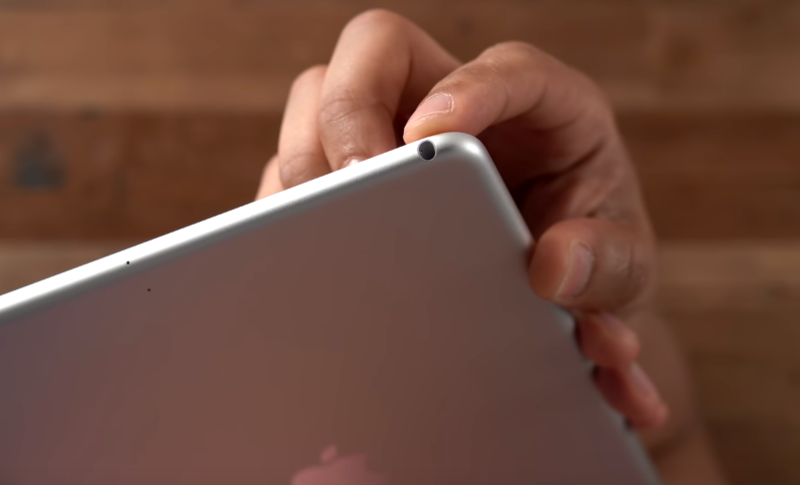 The new Air crushes the basic 9.7 inch iPad during both single-core and multiple-core tests. The new iPad Air also has a better GPU, allowing for smoother gaming performance and video-editing. During my GPU test, the iPad Air 3 had over 20,000 scores while the Air 2 only had around 13,000. The new iPad Air offers 10 hours of battery life, which is pretty impressive. This means that you have more time for games, web browsing, or Netflix. I mainly used the new Air for web browsing and gaming, and it lasted up to 9 hours and 20 minutes. During my test, the new iPad Air hits 15% charged in around 16 minutes and 30% in 28 minutes using the Lightning to USB-C cable. Personally, I am not a big fan of a lightning port as it is a little bit inconvenient. I don’t know why Apple did not add USB-C to its 2019 iPad Air. Apple may think USB-C is a Pro feature despite the fact that it has been on mid-range Android for years. 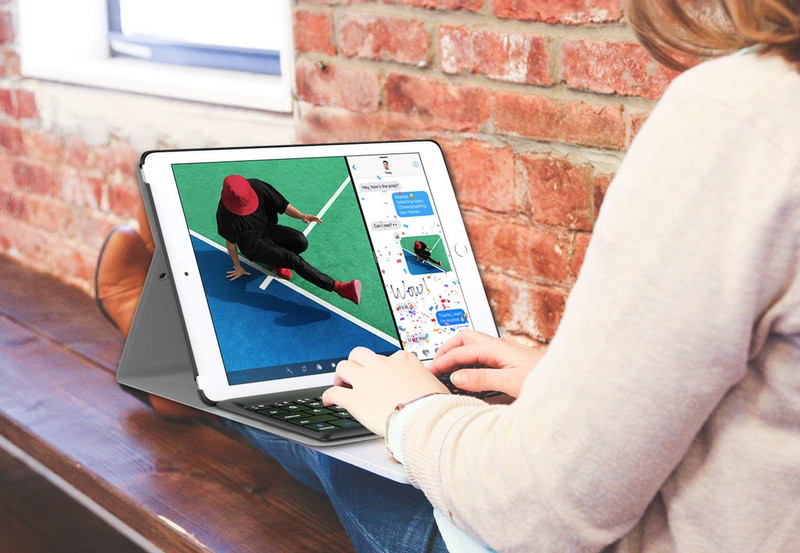 The 2019 iPad Air is a better choice for those who are in the market for an affordable iPad with some of the Pro’s features like Apple Pencil support or Smart Keyboard. If you already have a 2017 iPad Pro, then there is no reason to upgrade even though both share some similarities in design.